What is the impact of a recovery in Côte d’Ivoire on the WAEMU region? Côte d’Ivoire experienced political instability in the past 15 years. With the political crisis overcome, the economic outlook for Côte d’Ivoire is strong. 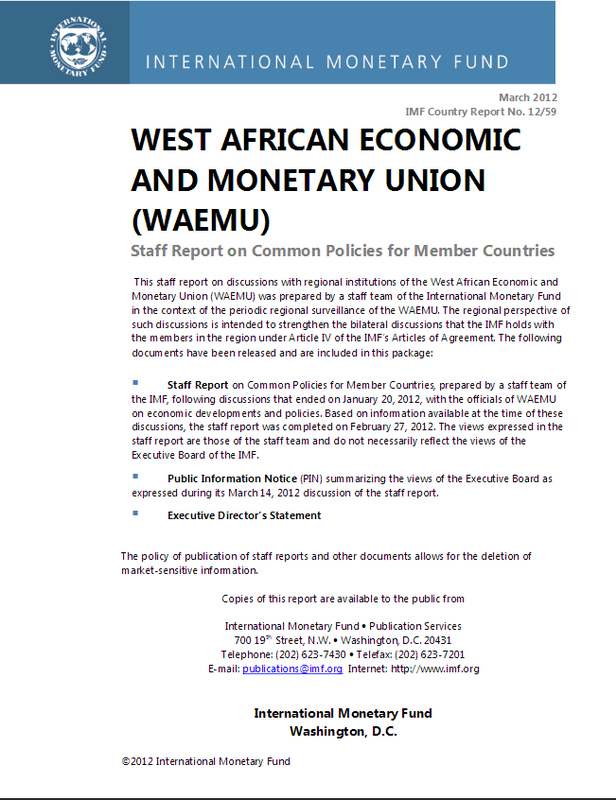 There are two main channels through which the recovery in Côte d’Ivoire can affect other WAEMU countries: the real economy channel and the financial channel. Overall, resumption of trade, remittances and investment from Côte d’Ivoire to other countries would have a positive impact on the region, whereas large borrowing needs may generate negative spillovers. In the medium term, the recovery also offers opportunities to accelerate regional integration.